Here are your Camp Kale recipes! Camp Kale Fall Cleanse — Registration Closes at Midnight on Sunday, October 4! Thanks for checking out the Camp Kale Fall Cleanse (October 4-31). I’m really excited about this new program, and can’t wait to share it with everyone! To download the sample recipes, please click on the link below. Camp Kale is a four-week program that costs $139 per participant (about $35/week). I know what you’re thinking — a four week cleanse? Who can detox that long? It actually includes 2 transition weeks, and 2 weeks of clean — so, it’s technically a 14-day detox. Phew, right? 1. Camp Kale Prep Guide — Each participant will receive an eBook (PDF format) that shows you how to prep the pantry and make other pre-camp preparations. 2. Weekly Meal Plans and Featured Recipes — The weekly Meal Planner will help you get focused and organized, and the recipes will enable you to prepare simple meals that are both satisfying and delicious. Links for these downloads will be sent directly to your email inbox each week. 3. 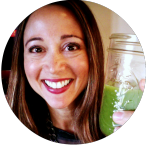 Nutrition Instruction + Group Coaching — Each weekday throughout the program, I send a special email to your inbox, featuring the day’s nutrition focus and lifestyle tips — as well as a little extra support and motivation. 4. Weekly Intensive via Audio and/or Video — Each week, you’ll be invited to take a deep dive into a specific nutrition topic, which will be covered via conference call/webinar and/or video demonstration. 5. Access to a Private Facebook Group (optional) — If you’re on Facebook, this is a great place to ask questions and exchange support with fellow participants. For more details on Camp Kale, click here. Click here to register for Camp Kale (via Paypal). Click here to download the Camp Kale recipes.